Everyone is born right-handed. Only the gifted overcome it. 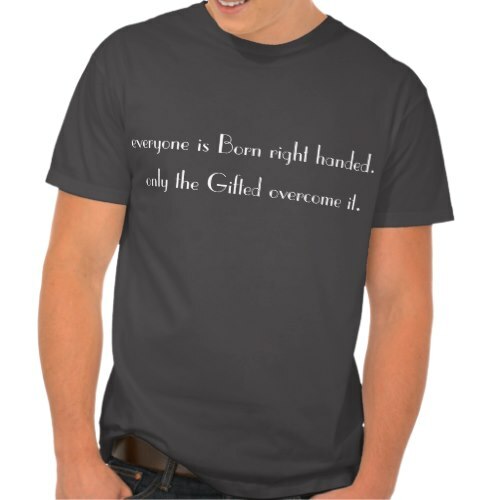 An awesome, funny, humorous t-shirt for all the left handers of the world. Globally, roughly 12% of men and 10% of women are left-handers. Makes a great gift for birthday, anniversary, or any regular day, for family members and friends who are left-handed.